We're not just your average local coffee shop located in the Bella Vista neighborhood of Philadelphia. Our goal is to be one of the best coffee shops in the world, a preferred source for quality coffee and innovation, and to make specialty coffee knowledge accessible to all. With our unique menu and professional baristas, we're giving you a reason to care about exceptional coffees. Each cup of coffee has been optimized using a recipe designed to showcase the interesting flavors inherent in different coffee beans. Our house coffee is a rotating single origin Central/South American bean roasted by our sister company, Vibrant Coffee Roasters, located just outside Philadelphia. This coffee is approachable and sweet and changes a few times per year depending on which coffee crops are in season. It's great on its own or will combine well with steamed milk, producing sweet flavorful lattes and cappuccinos. In addition to our house coffee blend, we serve one higher quality, complex, and dynamic single origin coffee that changes once per week. These coffees are sweet, bright and unlike any coffee that you’re likely to have come across, with tasting notes that range from fruity and floral to buttery, earthy and nutty. Due to their delicate, elegant and complex flavor, they are recommended either black as a coffee shot or pour over, or with steamed milk only as a cortado or cappuccino. Coffee is a seasonal product with different countries cropping at different times. Our menu will reflect this, focusing on freshness and the resulting flavor. Come try our coffee shot. We're known for it. Our coffee shot is a slightly less syrup-y shot than traditional espresso but has similar flavor intensity. However, rather than a smoky, bitter taste, you'll experience a super-concentrated version of the unique flavor notes typically found in a pourover. When owners, Ross Nickerson and Megan McCusker met, they shared a love of coffee and even joked about opening their own coffee shop. They had no idea it would actually become a reality! The husband-wife duo began Function Coffee Labs in April 2015 in a very simple way: starting an Instagram account as a way to start gaining followers. Eventually an LLC was born in September 2015. 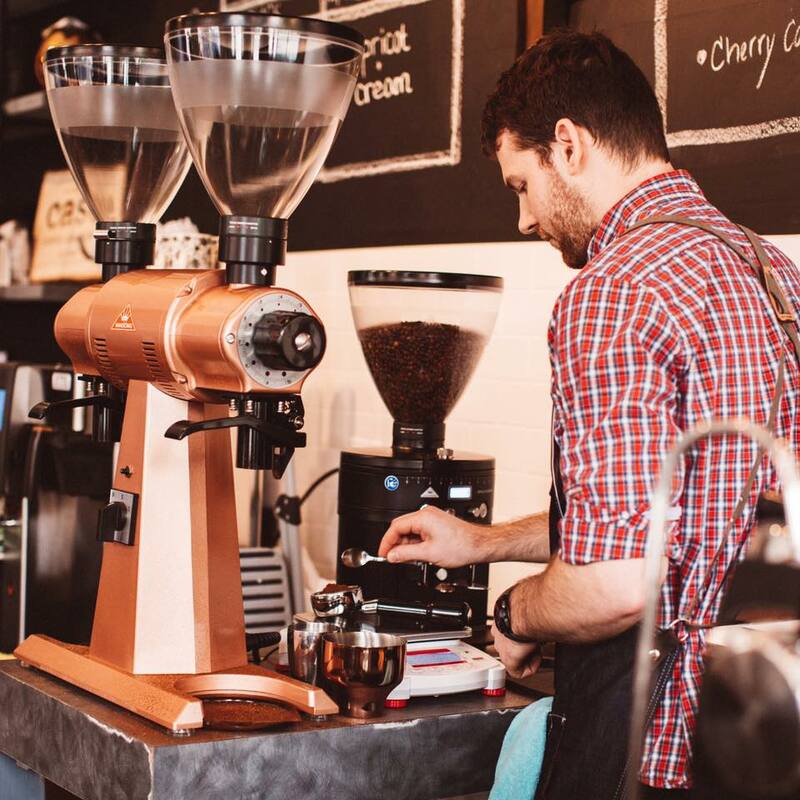 Their love of coffee grew by traveling to dozens of countries while living in England and seeking out great coffee shops everywhere they went, not just because they are coffee lovers, but also because they love everything that a coffee shop can be. The pair played chess in a tiny basement bookstore/coffee shop in Bergen, Norway. They made a great connection with a small record/coffee shop owner in Amsterdam, Netherlands. Eventually, they had their "aha" coffee moment in a shop in Bath, UK where they both finally tasted all those flavors that bags of coffee promise but never really seem to deliver. They became regulars at the smallest cafe in Paris, Boot Cafe, while living there for three weeks. The barista at Boot was the epitome of cool, the coffee was great, and everyone talked to everyone else the entire time. Now, Function Coffee Labs has grown into a successful brick-and-mortar coffee shop located in one of Philadelphia's hottest and most-loved neighborhoods: Bella Vista. Come and visit the shop to discover your very own coffee journey. Ross is a University of Pennsylvania graduate originally from Boston, MA. His scientific approach to coffee stems from his background in Mechanical Engineering and interest in building race cars while studying at Penn. After graduating, Ross moved to Winchester, UK where he taught Physics for six years. Before opening Function Coffee Labs, Ross was a competitive marathon runner. Funnily enough, he didn’t drink coffee in college but started while living in Winchester because of its performance-enhancing nature. Ross used to make double or triple strength French Presses with coffee roasted for espresso. Looking back on it, it was terrible, but he didn’t know any better. Ross's life-changing moment occurred while sipping on espresso at Sterling Coffee in Portland, OR. This experience made him realize there was something better out there. In typical engineering fashion, Ross began to read every technical thing he could about coffee, bought his own cheap little espresso machine and grinder, and did a lot of experimenting. Today, Ross's obsession with the technical aspects of brewing and his need to always be improving the quality of the coffee define his craft. Megan, a Philadelphia native, has always had many interests, graduating from Columbia University in 2011 with a degree in Psychology, Anthropology and Business Administration. She had PR internships, worked as a media buyer and planner, an Admin Coordinator at the University of Pennsylvania and most recently, had a teaching fellowship at Winchester College where her and Ross met. Megan brings to Function Coffee Labs her interest in what makes a coffee shop great - its decor and ability to bring communities together. Her passion lies in the behind-the-scenes operations of the coffee shop, including a knack for setting the vision and strategy for FCL's brand. Please use the forms below to sign up for our email list or get in touch for media inquiries, coffee catering information, other questions, or just to say "hello"!